This entry was posted on March 20, 2017 by Nick. Easter is on the horizon and there’s no better way of celebrating than with a unique Easter hamper from Hamper.com! We have a fantastic selection of spring themed hampers that are perfect for banishing winter blues and looking forward to warmer weather. 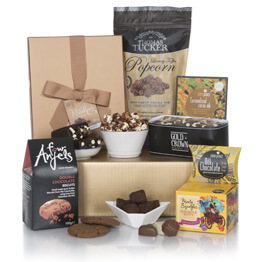 Discover Hamper.com’s full collection of Easter gift hampers that are filled with a range of delicious treats. 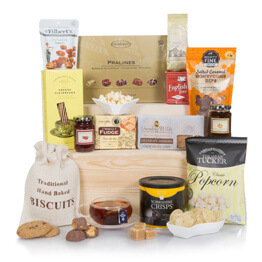 From the finest cheeses to indulgent chocolates, celebrate the start of spring in style with a gift hamper. 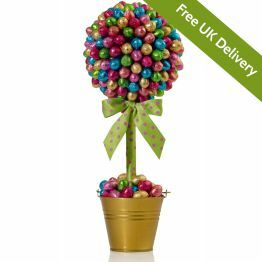 Chocolate is a popular gift at Easter and you’ll struggle to find a more chocolate filled gift that The Choccy Tree! Featuring over 170 solid foil covered milk chocolate balls, this gift is perfect for a loved one this Easter, especially if they have kids! 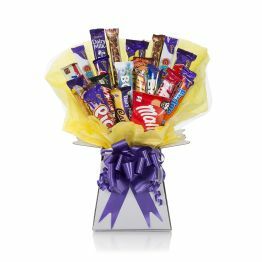 Another gift hamper that’s certain to satisfy those with a sweet tooth! Chocolate Indulgence is packed with delicious treats, including chocolate chip cookies, chocolate cake, dark chocolate raspberry bites and much more! With spring arriving and the weather improving gardeners across the UK will finally be able to get back outside and get their hands dirty! 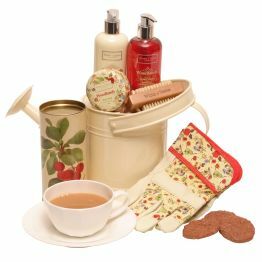 The Gardening Goodies for Her gift hamper is perfect for that special someone with green fingers. Featuring a watering can, gardening gloves and hand creams and soaps, she’ll have everything she needs to get back in the garden. 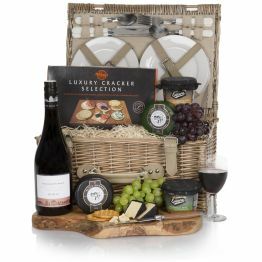 Presented in a fitted wicker basket with plates and cutlery, the Luxury Wine, Cheese & Pate gift hamper is perfect for a picnic in the spring sunshine. 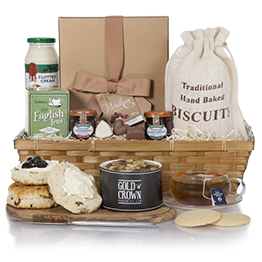 Featuring a fantastic assortment of cheeses, delicious pate and a bottle of indulgent Australian red wine, they’ll love this exquisite hamper this Easter. For more information on the wide range of next day hampers that we have available, then please get in touch with the Hamper.com team today. Contact us online or speak to an expert directly by calling us on 01235 833732, we are happy to answer any questions you may have about delivery or special dietary needs.